Reid’s Lame Duck Session: Just Mopping Up? Last Tuesday, September 7, when Senate Majority Leader Harry Reid (D-Nev.) said he intended to focus the current lame duck session on “mopping up” leftovers from the previous session, these included a national renewable energy policy, a small business jobs bill, and another stimulus bill. Reid said, “We are still going to be in Congress, working, after the election…There are things that we have to do. There is a lot of mopping up to do.” Reid failed to mention one small item that his lame duck session is determined to ignore altogether: the Bush “tax cuts” which are set to expire without Congressional action by the end of the year. The impeachment of Judge G. Thomas Porteous of the U.S. District Court for the Eastern District of Louisiana appeared initially to be an “open and shut” case of bad behavior, with the House of Representatives voting unanimously on four articles of impeachment. 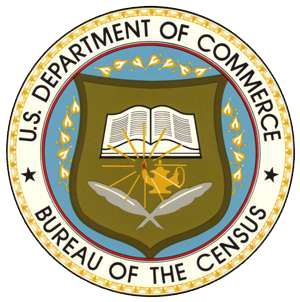 Few were surprised when President Obama replaced Christina Romer, chair of his Council of Economic Advisers, with another statist economist, Austan Goolsbee. 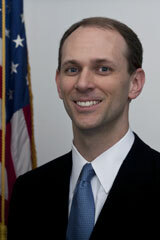 Goolsbee is the architect of Obama’s failed economic policies and programs, having served as the executive director of the President’s Economic Recovery Advisory Board from the beginning. A bright student at Yale where he enjoyed membership in the exclusive and elitist Skull and Bones secret society, Goolsbee went on to get his PhD from MIT, and then immediately became a professor at the University of Chicago. With stints at the American Bar Association and the National Bureau of Economic Research, he was named to Obama’s Council of Economic Advisers in March, 2009. The move to confiscate those retirement dollars for government purposes was best illustrated by Christina Kirchner, President of Argentina, in 2008 when she announced plans to seize her citizens’ private pension funds. Notable in the statement from the Securities and Exchange Commission (SEC) last week that it was charging the State of New Jersey with securities fraud was the lack of fines, punishment, or names of the guilty. The fraud began in 2001 and wasn’t uncovered until the New York Times exposed it in April of 2007. The first time Rep. Paul Ryan (R-Wisc.) offered his “Roadmap for America’s Future” to the House of Representatives, it failed by 137-293, with 38 Republicans voting against, including Rep. Ron Paul (R-Texas). With his own district safe in the fall elections, Ryan has been spending his time generating support for Roadmap II with presentations to conservative think tanks and coffee klatches. And he seems to be gaining some traction along with a lot of fresh attention. When TARP Inspector General Neil Barofsky criticized the Home Affordable Modification Program (HAMP) as being ineffective, he blamed the Treasury Department for not setting clearer goals for that part of the Troubled Asset Relief Program (TARP). Social Security Benefits Only for Needy? One way to fix Social Security would be to limit payments only to those who need them, according to House Minority Leader John Boehner (R-OH). In an interview with the Pittsburgh Tribune-Review, he added that increasing the retirement age to 70 for those age 50 and younger would also be necessary. In their attempt to mitigate negative election-year fallout from the Supreme Court’s recent ruling in favor of rights of free speech for everyone in Citizens United, Democrats Senator Charles Schumer (New York) and Representative Chris Van Hollen (Maryland) proposed legislation entitled “Democracy is Strengthened by Casting Light on Spending in Elections,” or DISCLOSE.